SpreadMarket is a superior trading platform based on the latest technology and trading features. The award-winning platforms enable you to trade from anywhere – whenever you want – at very low cost. We offer CFDs (Contract For Difference) for stocks, indexes, commodities, forex and interest-related products for all major markets totalling thousands of products. We offer very competitive tight and fixed spreads on all products. Spread is considered the main cost for the trader. By trading with us, you do not pay any commissions on the top of the spread as everything is already incorporated into it. We offer a free guaranteed stop-los on most products. With a guaranteed stop-loss you are always able to exit the market in case it goes against you. You can never lose more money, than the funds deposited into the account. Whether you are an active daytrader or long-term investor you can easily tap into the markets and use our platform straight away without being overwhelmed by a whole bunch of features, design elements and buttons. We have reduced the number of interface elements that you need to deal with to a minimum, enhancing the usability and your trading experience. We offer you a very elegant award-winning platform, with a full range of products, the tools to succeed, easy to learn, intuitive to grasp and effortless to customise. SpreadMarket.com is a trading name of Ayondo Markets Ltd. Ayondo Markets Ltd. is a company registered in England and Wales and is authorised and regulated by the Financial Conduct Authority (FCA). You can also trade from you iOS or Android smartphones and tablets through our very intuitive apps. We offer a free demo account for 40 days. Our customer service reps are always available to assist you by phone or e-mail in local languages. Some of the many awards and prizes won by Ayondo. SpreadMarket has partnered with Ayondo to provide a social trading technology that let you follow and copy the trades of some of the worlds best traders with impressive track records on our award-winning platform. 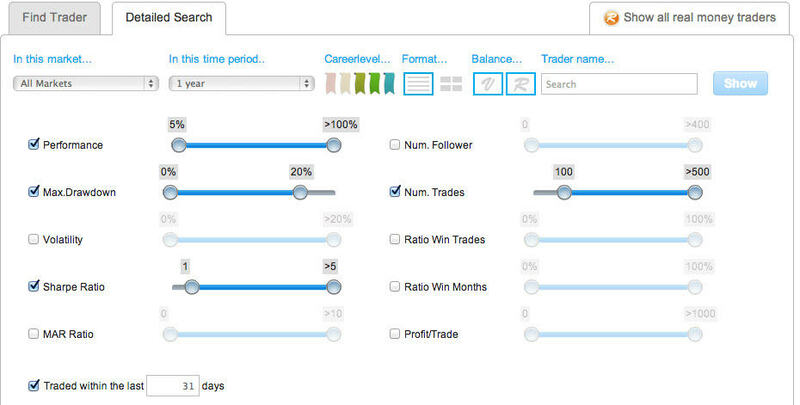 Choose up to five top traders from over 1.000 traders based on your own criteria. Let the professional traders do the work and profit from their work. 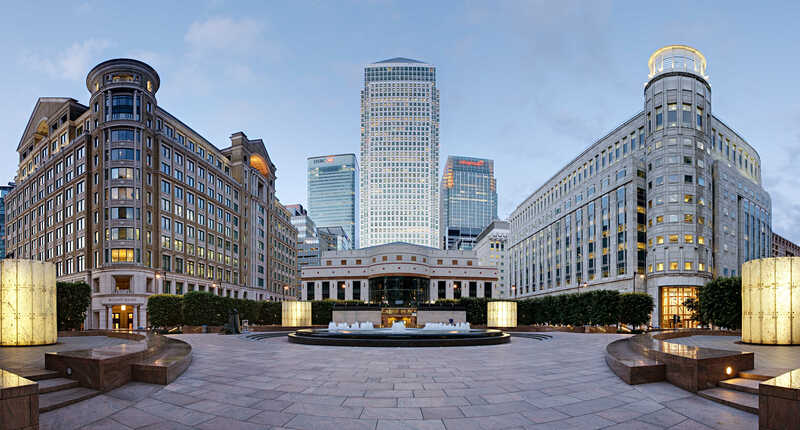 We provide you with a solution, where you pay no more than you would in your own trading, whilst still allowing you to still benefit from the results of the Top Traders. For this, the broker shares with us half of their commissions generated by their spreads. We share this again with your Top Traders. All parties will receive a piece of the cake so to speak, without you having to pay more. This is by far the most superior and cost-effective platform I have ever used for daytrading and swing trading. I highly recommend it to anyone. I am very satisfied with products offered, the very low spreads and the superior technical platform. Their imminent and personal support is second to none in the industry. Thumbs up! 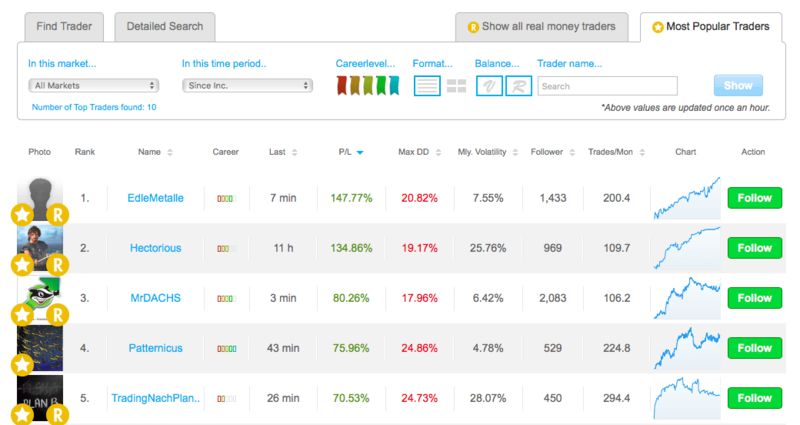 I passively invest my funds through SpreadMarket.com´s social trading platform with great success. Besides choosing the best traders to follow, I don’t have to do anything at all. You can start social trading with a deposit of €1.000 or higher.